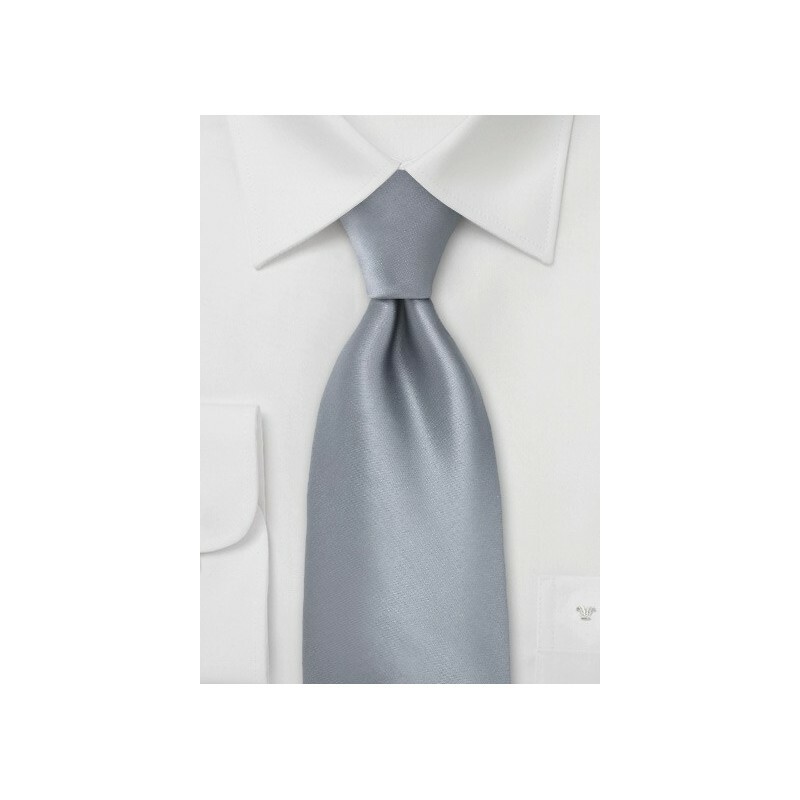 Add new elegance to your formal wardrobe with this dolphin-silver necktie. Designer Puccini calls this color "Dolphin-silver", which is, after looking at it in person, a festive shade of silver with a slight blue sheen. 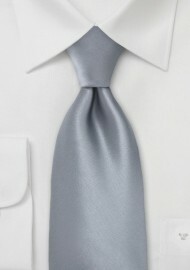 This tie looks excellent when paired with your formal midnight blue suit and solid white dress shirt. For even more elegance add a matching silver or classic white hanky to the breast pocket of your suit. Note: This tie is made in long length for taller men.